Plastic Knife Switches are easy to connect. 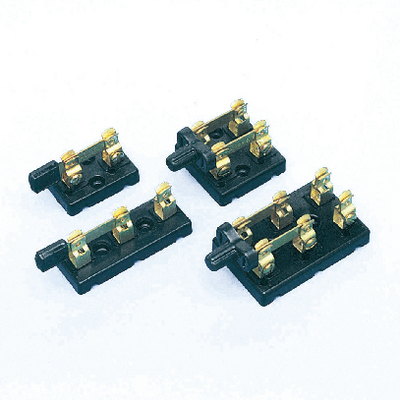 Basic components for any electrical lab, these switches are anchored onto plastic bases that allow visible connections for easy use. Educators use Plastic Knife Switches to explain open circuits. These unbreakable switches are available in two configurations. They are rated at 5A.